In 2003, produced Brit screenwriter/director Dan Bronzite was looking for software to help him outline his next spec — a teen horror called DO OR DIE. But he didn’t find anything suitable…so he decided to roll up his sleeves and create a program himself. After a lot of hard work and late nights coding he finally launched Movie Outline in the spring of 2004 and the rest is history. He even wrote DO OR DIE using his own app and later sold it to Qwerty Films in the UK. Since then the product has developed into a full-fledged screenwriting software application that allows you to plan your cinematic structure, develop characters and format your screenplay to industry standard scene by scene, providing all the tools all you need.. in a single package. 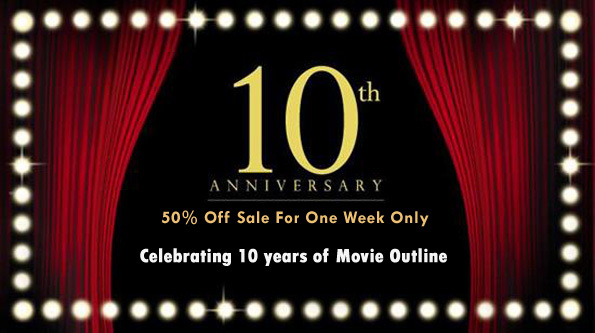 Through the years we have been blessed by a loyal following and community of screenwriters (novice and professional) who have spread the positive word about Movie Outline and who are always keen to provide us with their constructive feedback. Thank you all for your support! Special Anniversary Sale — 50% Off for One Week Only! Click here to buy now from our secure online store.